Children 0 to 12 years old and their families can discover music, play an instrument and make some great noise at the festival. ABC TV's Play School presenter and popular children’s music artist Justine Clarke will premiere her brand new show Look! Look! It’s a Gobbledygook. Clarke is joined by a band of musicians and a couple of cheeky monsters to explore the magic of books and the art of story-telling. Comedian Lawrence Leung narrates The Race for the Chinese Zodiac, an animated version of Gabrielle Wang’s picture book of the same name with an original score played on traditional Chinese instruments by the Australian Chinese Music Ensemble. 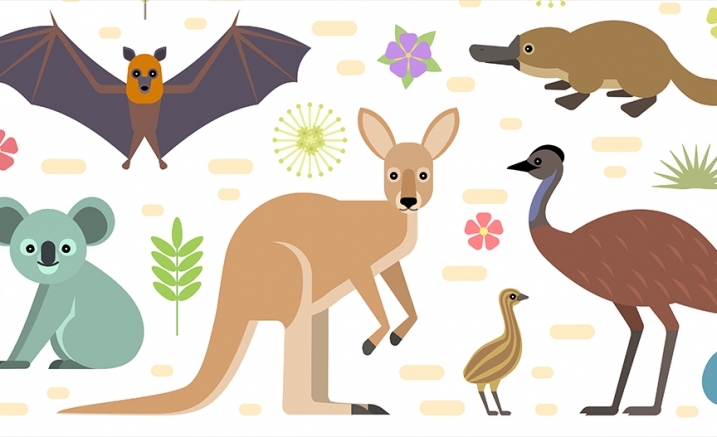 Camille Saint-Saëns’ timeless classic Carnival of the Animals is given a fresh new Australian perspective with everyone’s favourite environmentalist Bob Brown narrating this humorous musical favourite which features members of the animal kingdom. 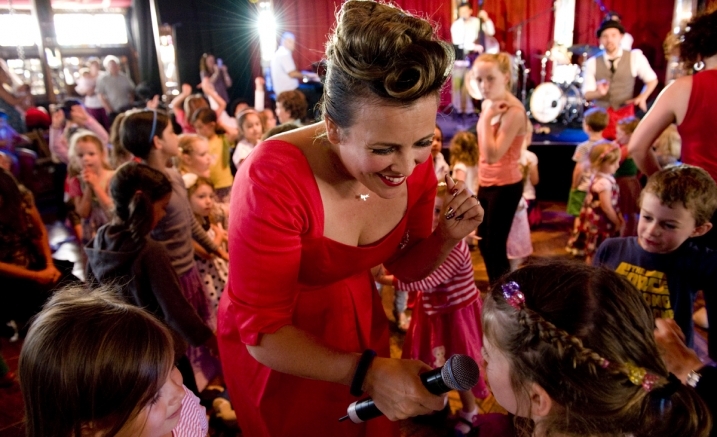 Cabaret star Ali McGregor has created a show for the whole family with her jazz band and guest comedians, cabaret and circus acts, CabHOORAY. Melbourne’s very own All Day Fritz will pack the dance floor with their jazzy, rock, swing harmonies playing original tunes and great songs. Not so much as a concert but one large instrument that visitors can play, Bellbird by Polyglot is an enchanting forest of sound. Wander blind-folded amongst hundreds of streaming ribbons, ringing the attached brass bells – a musical dream for the senses. Children can take part in four workshops where they can experience music making at first hand regardless of their experience or ability. Musician Ben Walsh takes the humble household bucket and wooden spoon to create an ensemble of musicians to discover sounds and rhythm. Song writing specialist and music therapist Dr Emma O’Brien leads a creative journey from blank page to an original song proving You Can Write a Song. The Race for the Chinese Zodiac Dr Wang Zheng-Ting will lead an interactive workshop on Chinese music, instruments and culture. 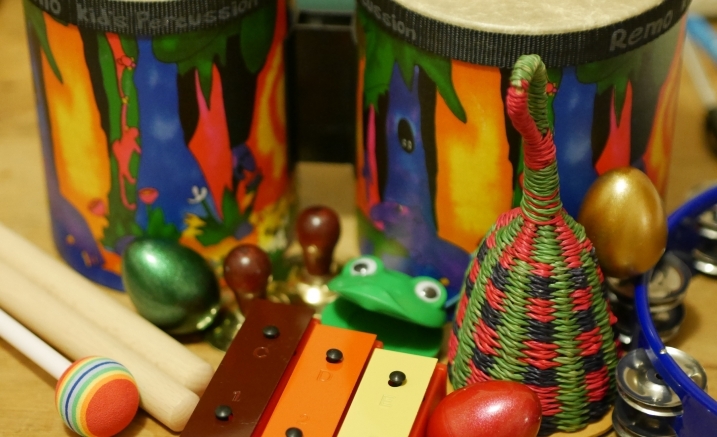 Music therapists Jo Rimmer and Tanya McKenna invite pre-school children with a disability and their siblings to move, listen, play and explore music with Sensory Sounds. In addition to the ticketed big & mini concerts and workshops, the Melbourne Recital Centre has a variety of FREE activities throughout the foyers. Local artists Speak Percussion are setting up a Gong Wall and invite budding musicians to have a ‘bash’. The stringless Magic Harp creates a beautiful sound that is truly magic despite missing one vital component. The Photo Booth is also a great opportunity to capture the visit when the Melbourne Recital Centre’s popular face painter returns. For more information and ticket bookings, head to the Melbourne Recital Centre's Music Play Children's Festival's website. Tickets range from $10 to $30.